Killeen Police resolve afternoon standoff on Sunset St. peacefully. Officers responded to 1908 Sunset St., at 12:58 pm, on Tuesday, April 15, 2014, in reference to a felony warrant service. Upon the officers’ arrival, they made contact with a female who told officers that the male was not inside the house. When the female stepped outside to speak with them, the officers noticed someone moving around inside; leading them to believe that the wanted person was indeed inside the house. Officers tried to talk to the suspect for more an hour but he refused to respond. The Killeen Police Tactical Response Unit was deployed to the residence at 2:32 pm. The team attempted to negotiate with the male, requesting him to surrender, for more than two hours, however he continued to ignore their commands. Chemical munitions were eventually deployed into the residence, which encouraged the suspect to surrender; he was taken into custody without incident at 5:44 pm. The 29 year old male has outstanding warrants for Possession of a Controlled Substance and Probation Violation for Possession of a Firearm by a Felon. His name has been withheld pending arraignment. Shortly afterwards the 26 year old female was taken into custody and charged with Hindering Apprehension. Her name has been withheld pending formal charges returned from the Bell County District Attorney’s Office. The Killeen Police Department is searching for a man who is wanted and they are asking for the community’s help in locating him. On November 8, 2013, the owner of a silver 2000 Mitsubishi Galant was inside a convenience store located in the 100 block of E. Hallmark, when a black male entered her vehicle and took the keys out of the ignition. The owner of the vehicle was coming out of the store when she saw the male with her keys; she attempted to get the keys back but the male suspect left the area in another vehicle. Detectives working this case were able to obtain a warrant for Willie Charles Anderson Jr. arrest. Willie Charles Anderson Jr. is a 28 year old black male. He is 6’4” tall and weighs approximately 180 pounds. He has black hair and brown eyes. Detectives are asking anyone who knows the whereabouts of this Burglar to contact Crime Stoppers at 526 – TIPS (8477), go online at www.bellcountycrimestoppers.com or text BELLCO along with their tip to 274637. Text HELP for help to 274637 or text STOP to stop the tip to 274637, message and data rates may apply. All information is confidential and you can remain anonymous. If your tip leads to the arrest of the suspect you could be eligible for a reward up to $1,000 in cash. The Killeen Police Department is asking for the community’s help in locating a man who is wanted and considered Armed and Dangerous. Officers were called to the 4800 block of Peppermill Hollow on Tuesday, January 14, 2014 at approximately 2:00am in reference to an assault. Upon the officers’ arrival, they made contact with the victim who told them he was assaulted by a black male acquaintance. The victim told officers’ the suspect ran out of the house and fled the area. Through the investigation detectives were able to identify the person responsible for this assault. This case was reviewed by the Bell County District Attorney’s Office and a complaint was returned charging Carlos Derell Collins Jr. with Aggravated Assault and Justice of the Peace Bill Cooke issued a warrant for his arrest. A Crime Stoppers tip was received late yesterday afternoon after the tipster advised the whereabouts of the suspect involved in this Aggravated Assault. 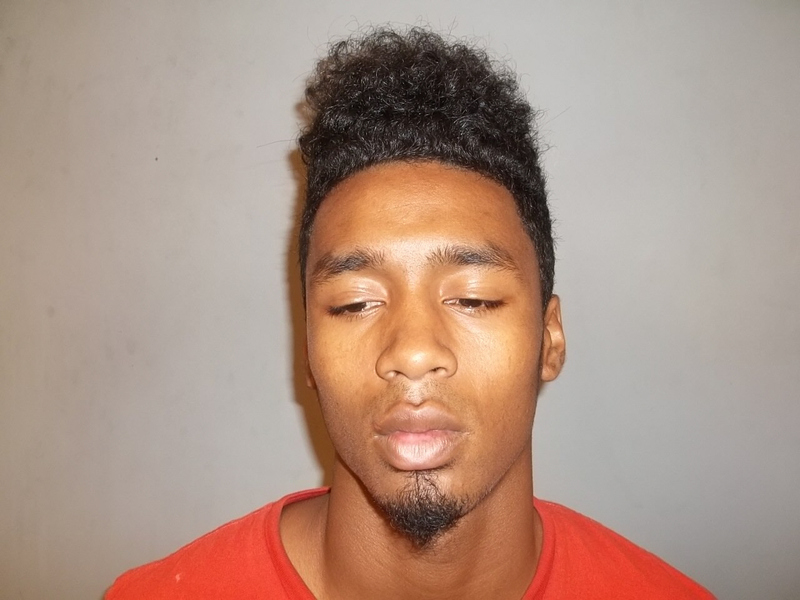 The suspect was located at a hotel in Temple, Texas, when Temple Police Department subsequently arrested 27 year old Carlos Derell Collins Jr. of Killeen. Collins is currently in the Killeen City Jail awaiting arraignment. Carlos Derell Collins Jr. is described as a 27 year old black male with dreads, 5’6” tall, 180 pounds, with brown eyes and black hair. He has two tattoos; one on his right shoulder with “Kiara” and “TX” outlined with the state of Texas and the second one on his left forearm with “Jeraldine”. Detectives investigating this case would also like to speak to him regarding the homicide on Anderson. Collins is considered ARMED and DANGEROUS, do not attempt to apprehend. The detectives are asking anyone if they know the whereabouts of Carlos Derell Collins Jr. to contact Crime Stoppers at 526-TIPS (8477). Go online to www.bellcountycrimestoppers.com or text BELLCO along with your tip to 274637. Text HELP for help with the tip to 274637 or text STOP to stop the tip to 274637, message and data rates may apply. All information is confidential and you can remain anonymous. If your tip results in the arrest of the suspect, you could be eligible for a reward up to $1,000.00 in cash. 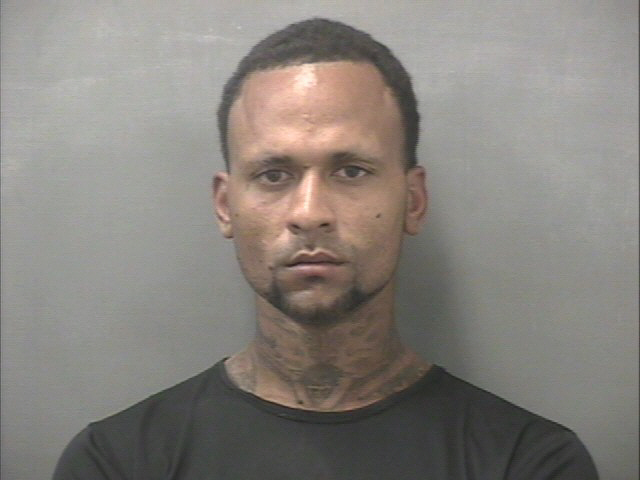 Efrem Trevon Edwards turned himself into the Killeen Police Department today, January 17, 2014; he is currently in the Killeen City Jail awaiting arraignment. 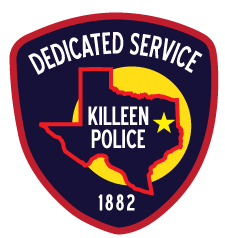 The Killeen Police Department would like to thank everyone for their assistance. Killeen Police have arrested four individuals who were wanted for Engaging in Organized Criminal Activity, they are now asking for your help finding the fifth man who is also wanted for Engaging in Organized Criminal Activity. Detectives have been investigating numerous incidents involving Thefts, Robberies and Aggravated Robberies during the months of September, October and November 2013. These incidents were also occurring in Harker Heights involving the same ring of suspects. The suspects involved would ask to use the victim’s phone; they would either flee with the phone or take it by force. They would then pawn the phones for money. Detectives began linking cases together and identified fourteen cases in Killeen involving these same suspects. These cases were reviewed by the Bell County District Attorney’s Office and complaints were returned charging 20 year old Latharian Devante Merritt, 20 year old Taimane Leialoha-ann Timarky, 21 year old Blake Allen Wilson, 18 year old Damani Tequan Johnson and 18 year old Efrem Trevon Edwards, with Engaging in Organized Criminal Activity and warrants were issued for each of their arrests. Merritt, Timarky, Wilson and Johnson have all been taken into custody but Efrem Trevon Edwards continues to elude officers. Efrem Trevon Edwards is described as an 18 year old black male; he is 5’7” tall and weighs approximately 135 pounds. He has Mohawk style black hair and brown eyes. If anyone knows Edwards whereabouts they are asked to contact Crime Stoppers at 526-TIPS (8477), go online at www.bellcountycrimestoppers.com or text BELLCO along with the tip to 274637. Text HELP for help with the tip or text STOP to stop the tip; message and data rates may apply. All information is confidential and you can remain anonymous, if your tip leads to the arrest of the suspect you could be eligible for a reward up to $1,000 in cash.